I grew up in St. Louis, a place that specializes in delicious food and drink that’s not necessarily good for you. It’s home, for example, to Anheuser-Busch, the makers of Budweiser. When a new employee starts at Anheuser-Busch, they receive another local specialty as a welcome gift: a gooey butter cake. This delicious concoction is exactly what it sounds like. It has an almost pie-like consistency, however, so it’s not very portable. 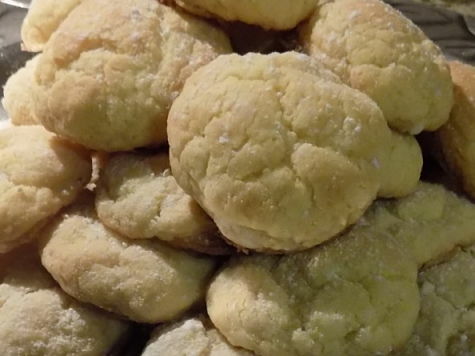 The solution to that problem is today’s recipe, gooey butter cake cookies. These are easy to make and require only six ingredients. They taste like yellow butter cake. You really can’t go wrong. Preheat oven to 175 degrees Celsisus. For you non-scientists, that’s 350 degrees Fahrenheit. 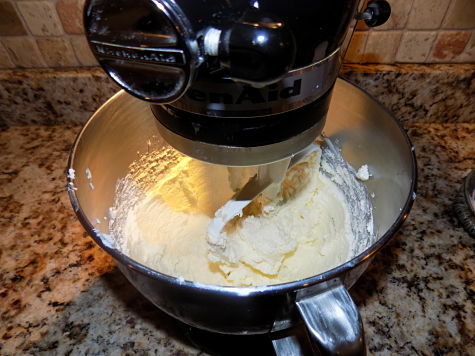 In a medium bowl, cream together the butter and cream cheese. Once that’s consistent, blend in the egg and vanilla. 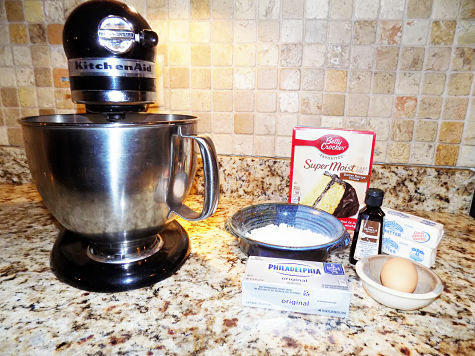 Then, add cake mix, and continue mixing/stirring until it’s smooth and well blended. Optional pro tip: chill the dough for 30 minutes, which will make the next step much easier. Pour the powdered sugar into a separate shallow bowl. 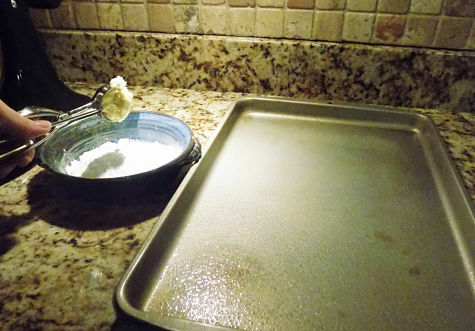 You’ll use this to coat the doughballs before you lay them on the cookie sheet. Roll the dough into 1-inch balls. I like to use a cookie dough scooper for this part, but you can also use a spoon. Optional pro tip: spray whatever you use with non-stick spray before you start. Drop each into the powdered sugar to form a light coating. This can be a little messy if you didn’t chill the dough. 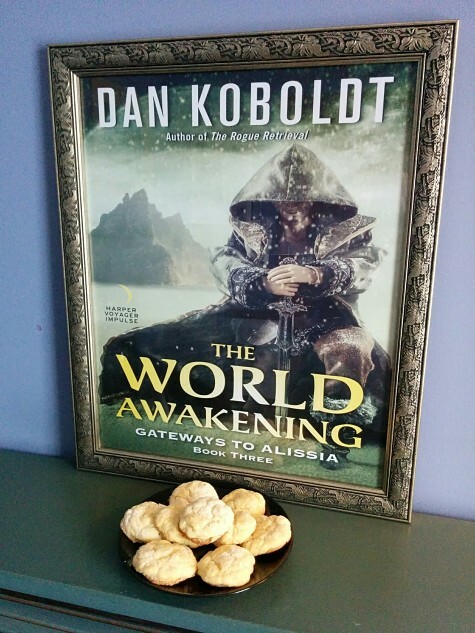 Once you get some powdered sugar on them, the doughballs are easier to handle. 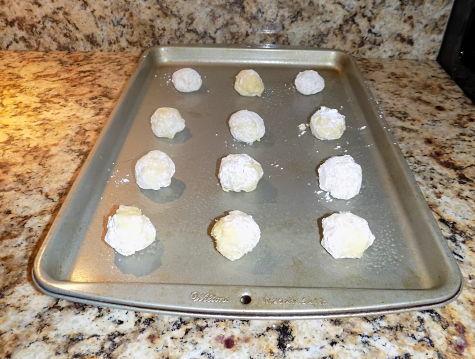 Place sugar-coated balls at least an inch apart on a greased cookie sheet. Bake for 11-13 minutes, until the edges begin to turn brown. Let them cool for a few minutes before you transfer them. These cookies keep remarkably well in an airtight container. Enjoy them with a good book! 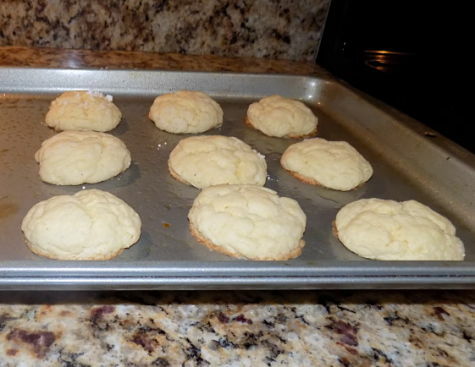 Easy and delicious cookies made with yellow cake mix. 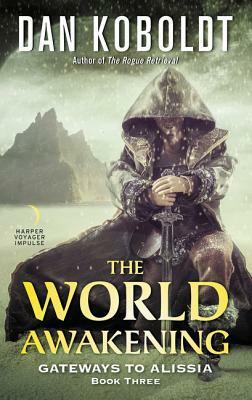 Find out more about Dan’s fantasy books at http://dankoboldt.com/. Preheat oven to 175 degrees Celsisus. For you non-scientists, that’s 350 degrees Fahrenheit. In a medium bowl, cream together the butter and cream cheese. Once that’s consistent, blend in the egg and vanilla. Then, add cake mix, and continue mixing/stirring until it's smooth and well blended.